We have had an exciting first two days of International school of Nagano. On Wednesday we had our Welcome Ceremony! The students did a great job answering “I’m here” when the MC called their names. 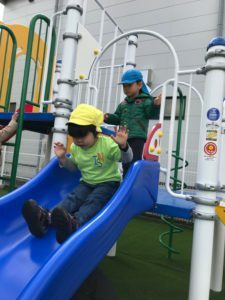 After the Welcome Ceremony, we went into Rainbow class(2 years old) and played with Rainbow class members and read more stories. 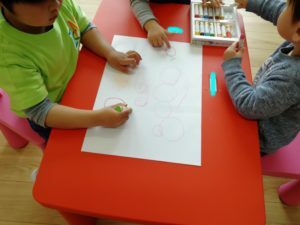 On Thursday we started learning about the days of the week, the months of the year, different colors and the weather. The students enjoyed talking about the recent cold and wet weather! We made many new friends, and spoke about how to set a good example for the younger children at school. 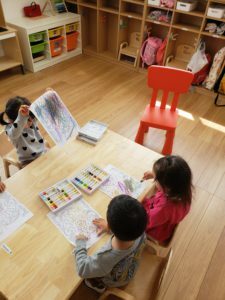 After that, we learned about our new classroom. We explored the different areas of the room. 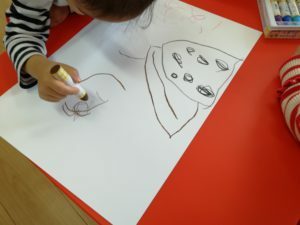 After that, we drew some pictures that will decorate the classroom. 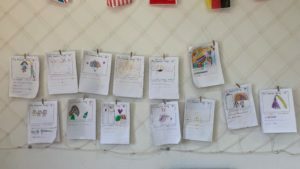 We drew pictures of ourselves, our family and things that we enjoy. We used many different colors! 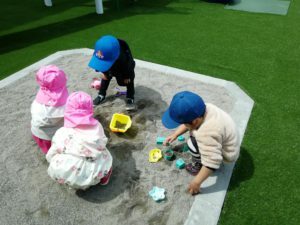 Before lunch, the weather became sunny, so we had the chance to play outside on our new playground. 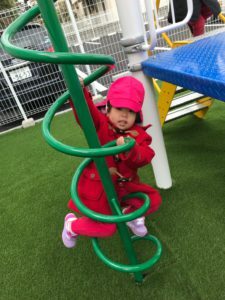 The students had fun climbing, sliding, running around and even playing with bubbles! Thank you everyone, and see you soon!